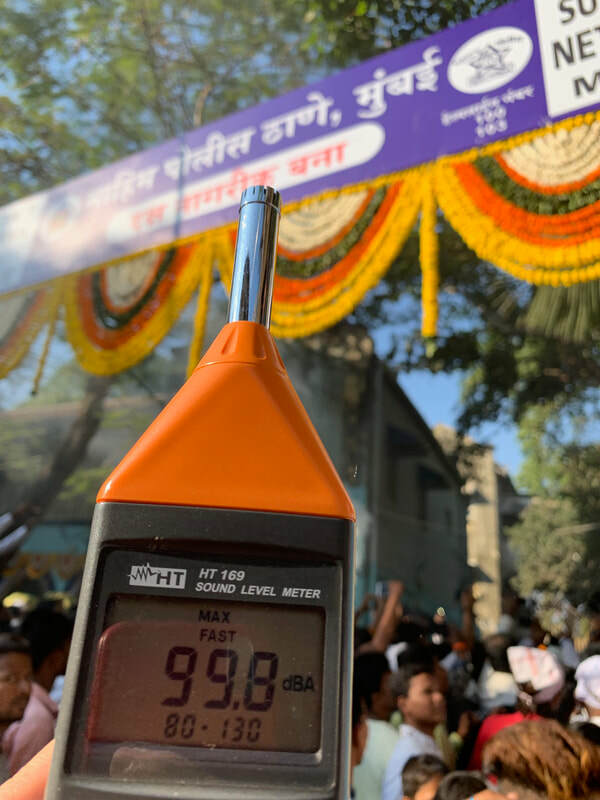 At about 4.05 pm today, I recorded noise levels of the Police Band playing music inside the premises of the Mahim Police Station at the inauguration of the Mahim Fair. A policeman came close to me and saw the readings.He then requested me to come inside the police station. The noise stopped after about 4-5 minutes. When I left the police station, a police officer came with me. A little outside the police station, a band was playing music and beating drums. He stopped the noise. Immediately, I was gheraoed and threatened, verbally attacked by various people including ladies. The police escorted me to my car and helped me get inside with the help of constables and lady constables. I was informed that no noise would be permitted by any other band for the 10 days of the festival. I am unaware what actions the police has taken against the violators of noise as well as against those who threatened me.